EDIT: Due to bad weather, this screening has been rescheduled to July 18! If you're in the mood to watch a movie that'll make you go, "Whhhaaaaaatttttttttttt," then hot damn, do we have just the thing. And if you're also thinking, "I'd really like to watch this movie outside and beforehand it would be cool to listen to a rad band and also I want some beers, please," do we REALLY have just the thing. 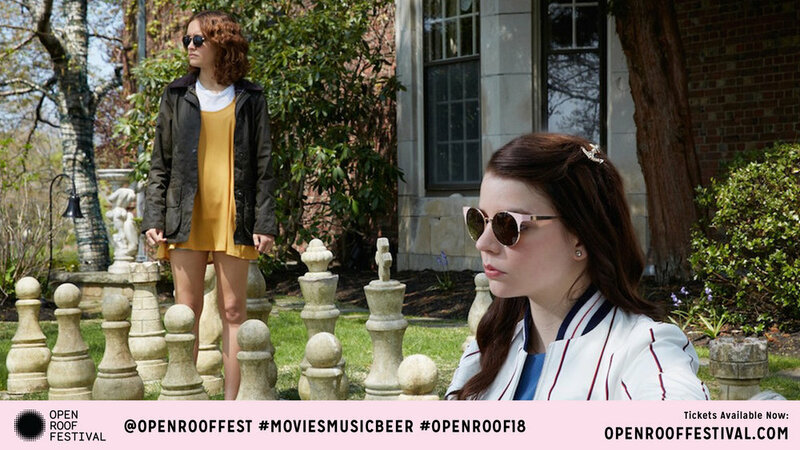 Open Roof Festival's 2018 programme kicks off tomorrow—which is cool and all, but next Wednesday June 27, is their screening of THOROUGHBREDS (with band Moscow Apartment) and you should all be very, very excited. Thoroughbreds is a dark (like, dark, pals) comedy starring Olivia Cooke (who we know you all loved in Me and Earl and the Dying Girl) and Anya Taylor-Joy (who we know you all worshipped along with Black Phillip in The Witch... sorry, The VVitch). I don't want to say too much about the film but I will say it was a fave of mine from Sundance 2017. It's dark and intense, punctuated by an incredibly eerie score and slick production design/cinematography. It was originally a play and it shows, as most scenes play out as one-on-one conversations between the two girls. Olivia Cooke deadpans her way through the film with often hilarious precision and Anya Taylor-Joy continues to prove there's a lot going on behind those big eyes of hers. Before the film you can listen to your new fave band Moscow Apartment. Yessssssss. We can't think of any better way to spend a Wednesday evening. So even luckier for you: we're giving away two pairs of tickets to the screening. The entry form is below the trailer. We'll be drawing winners next Monday, June 25!